I have experienced the profound and deep healing offered by many sacred spiritual plant medicines from around the world including Ayahuasca, Peyote, and Iboga, all administered in the traditional Indigenous ceremonial way. The origins of many modern medications can be traced back to traditional knowledge, and as scientists continue to probe Indigenous cultures throughout the world in search of miracle cures, sacred information about traditional plant medicines is shared that has been passed down breath to breath for generations. Instructions on how to prepare the plants and the proper way to honour them are detailed and specific. When asked how a native culture has come to know the healing properties of these plants, many have laughed shaking their heads; “We don’t know. The plants tell us!” It is easier to dismiss them as no more than “hallucinogenic” substances for those who have not experienced plant medicines for visioning and healing through ceremony, rather than to accept that there exists an active living spirit world one can access through various methods. Each plant offers unique healing properties and continue to contribute in unique ways to my own Journey. Ayahuasca is a brew traditionally made from the Banisteriopsis Caapi vine combined with one or more plants native to the Amazon Rainforest. The tea has been used for millenia for healing and divination by indigenous tribes of Amazonia. 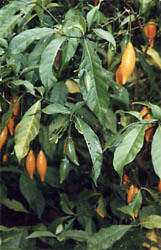 Iboga is a shrub from the rainforests of western Central Africa. Ingesting the root can stimulate the nervous system, promote healing and induce visions. Iboga has been used for thousands of years for various traditional Bwiti tribal practices including spiritual development, physical healing, and drug, alcohol, food and tobacco addiction interruption and much more. Iboga and its extract Ibogaine is most famous in recent years for its incredibly successful treatment of opiate and heroine addictions.